Joel Thomas of Alpharetta, Ga, a 1985 Spirit of Atlanta alum and a current member of Spirit's alumni association, won this week's DCI.now T-shirt giveaway! How do you get to be eligible for these weekly drawings? 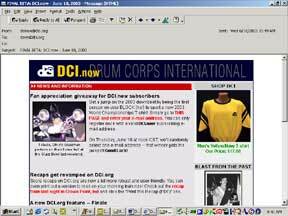 Register to get DCI.now!